Join us as we explore ways to draw near to God and enrich our experience of the Holy. We will visit some of the teachings of the great Spiritual leaders through the centuries, engage in some guided practices of prayer, meditation, and contemplation, and spend some time with prayer practices of your own choosing. 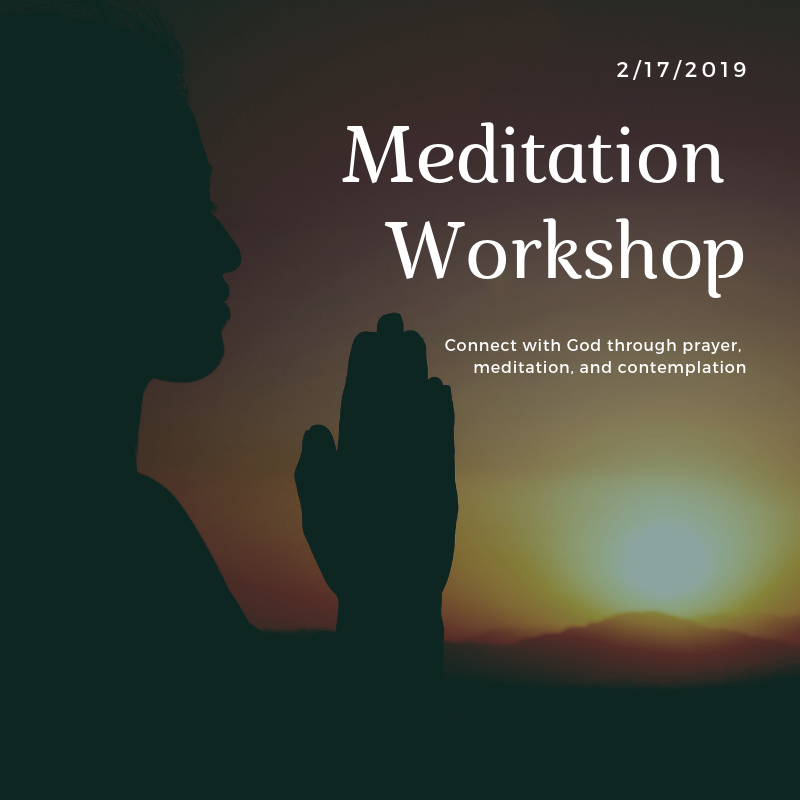 The Meditation Workshop takes place during the Winter Silent Retreat. If you stay overnight at the Silent Retreat, you can attend the meditation workshop for free! Just register for any length of overnight stay at the Silent Retreat, and request the "Meditation Workshop + Winter Silent Retreat" discount when you register for the Meditation Workshop.